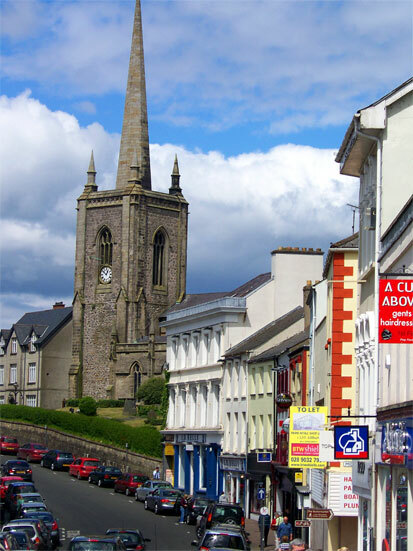 Enniskillen is the largest town in county Fermanagh with a population of over 11,500, and is located almost exactly in the centre of the county. 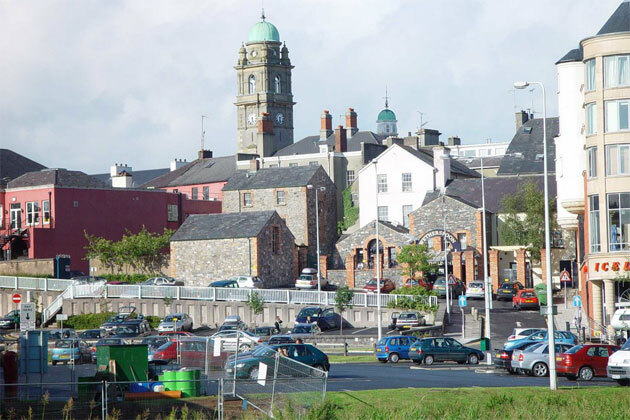 The town is built on a natural island about halfway between upper and lower Lough Erne. 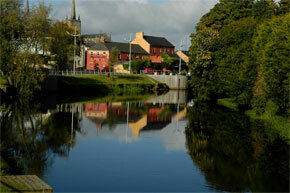 Enniskillen won Irelands's best kept town award in 2000, demonstrating the beauty of this tranquil town. 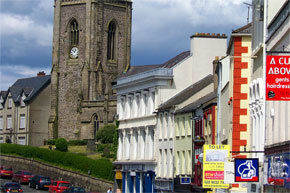 Enniskillen has many shops and a lively cultural scene, including a lakeside theatre. 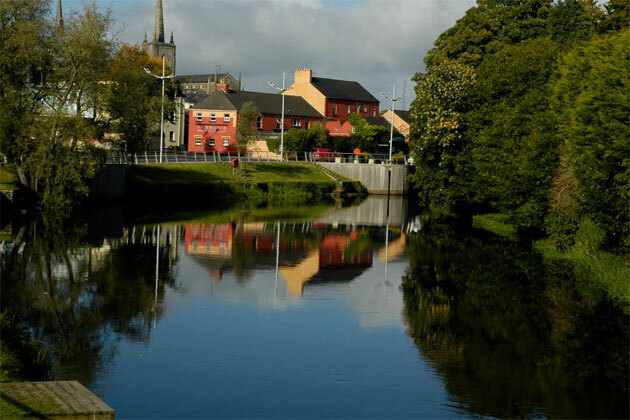 The settlement of Enniskillen dates back to prehistory. It was on the main highway from Ulster to Connaught, and was the principal crossing point on the Erne. 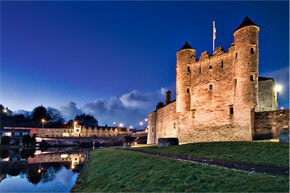 Enniskillen castle was built in the 15th century by the Maguires, then chieftains of Fermanagh. The castle now houses the Fermanagh County Museum, and a heritage centre. 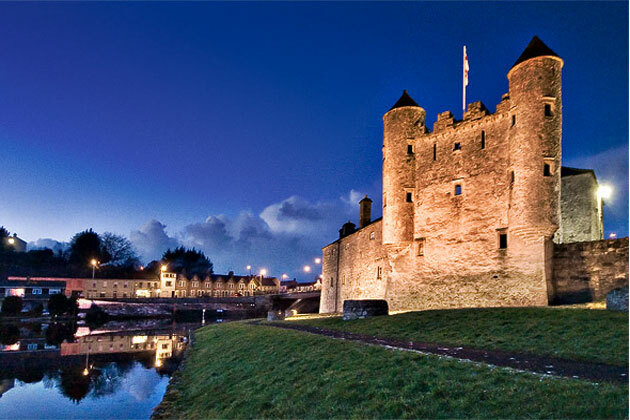 The most striking feature of the castle is the Watergate, two turrets which were added to the castle to dominate the water approach to the castle.